Recently, I've been practicing my listening skills in a different way. It helped me improve my understanding of English a lot! So I will introduce how to do it here. I've heard several times that learning languages is similar to sport. For instance, if you want to become good at swimming, you practice swimming rather than playing soccer and tennis. Likewise, if you want to improve your English listening skills, you need to focus on listening English rather than Japanese. Does that make sense? I can recommend this video to start it off! As you might already heard before, watching movies is very good for English listening practice. However, listening to native English speakers is not an easy task for non-native ESL learners. Well, for those there is a good news! You can slow down the movie by 5% to 10%, or you can slow it down even more if you don't mind the slowness. For more information, watch the following video! Watched the above video, one more thing I've been trying to do recently is, to speed up the audio/video when I feel comfortable enough to understand what I listen to. 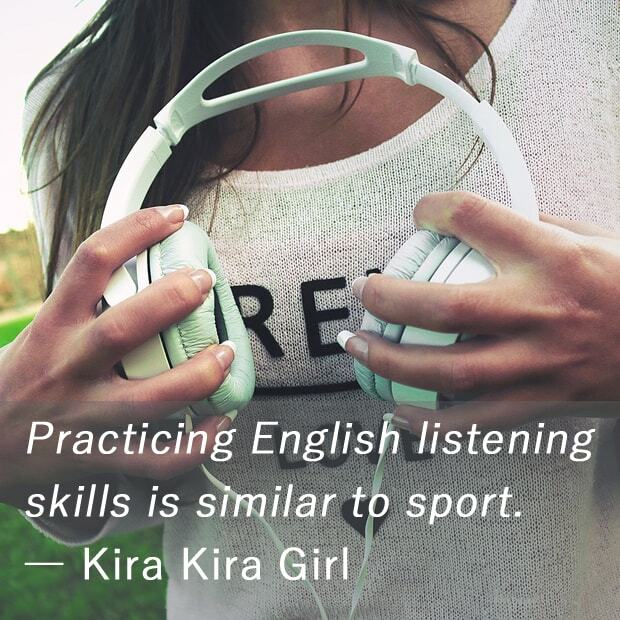 Again, learning English is similar to sport. Once you're able to swim 25 meters in 30 seconds, you will train yourself to swim longer/faster. I's exactly same for practicing English listening skills! For ESL learners in Japan, there are many things which are recommended for English listening practice. However, I found that these three steps I've introduced in this article are the best way to do it in my experience. What do you think? Let me know if you have any comments or suggestions. Thank you for reading till the end!